Product code: GP12-14 Categories: Batteries, Mobility. This battery fits most of the small boot size scooter range and most require 2 batteries this battery is the upgrade from the 12ah battery you must check your scooter batteries to be sure you order the correct ones, if at all you are unsure what to order then please call us on: 01782-330846 and we will be happy to point you in the right direction. 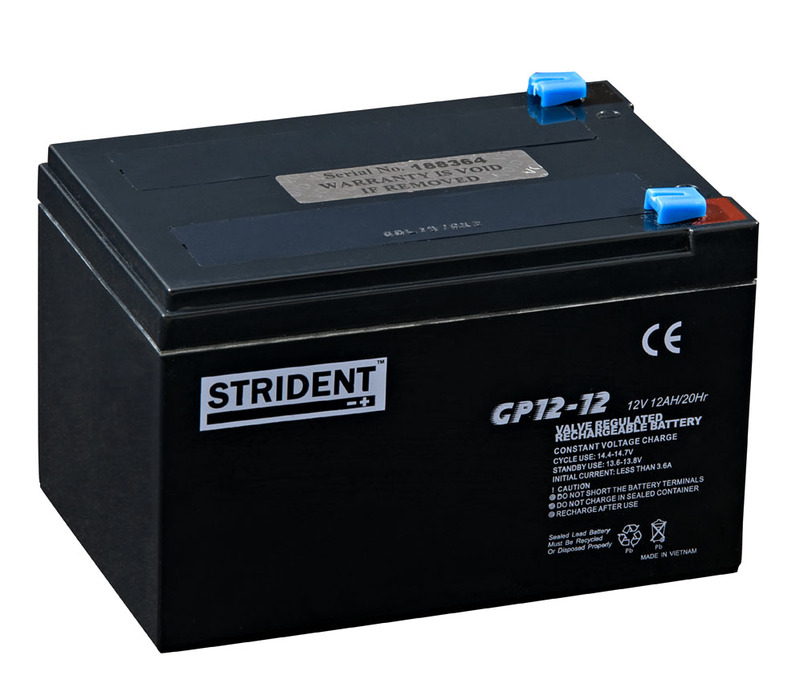 Strident 12v 14ah battery Lead Range.